Jazzman James Morrison was born with exceptional gifts which became evident from early childhood when he tried playing all the instruments his older brother brought home from school. He started playing in bands at the age of eight, first at Mona Vale Primary School on Sydney’s northern beaches and later in a group at the local church that performed not only for services but at other events. He had received no formal tuition at that stage. Focussed as he was on music, schoolwork was of negligible interest to the young James. He was a professional musician by second year in high school when a counsellor suggested that he pay more attention to his studies because he would eventually need a ‘proper’ job. His response was that he was already earning more than she was – he was fourteen years old and had regular gigs at some fairly prestigious locations in a trio with his brother John on drums and pianist David Pudney. He wanted to go to the NSW Conservatorium and somehow, despite his less than glittering academic record to date and being underage, he managed to play his way in. At sixteen years old he was the youngest student by at least two years and graduated at an age when others were just entering tertiary level. He was offered a part-time teaching job, the youngest teacher ever, younger than all his students. Morrison was taken under the wing of the legendary Don Burrows who invited him to perform at events with other top musicians in the field. From there his career took off in a major way. Morrison’s family background is interesting and the lively exploits of the two boys, John and James, make great reading. For example, the episode where, in order to get to a gig up the coast, they decided to sail a dinghy on an overnight trip from the quiet waters of Pittwater out through the treacherous Broken Bay into the open ocean. And that is only part of the story. 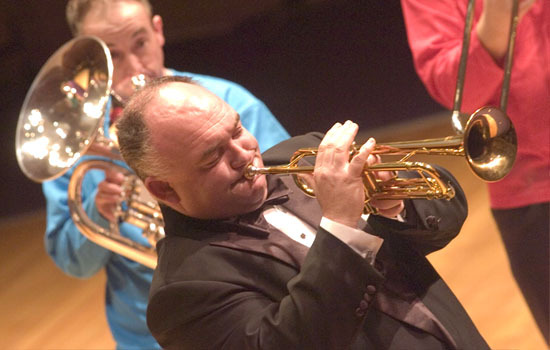 The remarkable James Morrison plays all brass instruments – trombone, trumpet, euphonium, cornet, tuba et al – also piano, and he plays them all well, often going seamlessly from one to another or even two at a time. He is a technical wizard and a superb improviser, with a warm and ebullient stage personality. He is a true showman who likes to have fun and to give the audience a memorable experience, such as abseiling down into the auditorium whilst playing the trumpet amidst stage smoke and flashing lights. Morrison is rather unusual in that he is not one of those in the world of entertainment who partake of alcohol and drugs. He presumably gets all the highs he needs from music, or from flying his own plane to and from gigs, or from driving a very fast car for a Top Gear episode, or any number of other activities that pepper his world. For many years he has taken part in ‘Generations in Jazz’, a venue for teaching the next generation of jazz musicians. CD recordings, performances with symphony orchestras, festivals, overseas touring, fundraising, work with schools and many more topics are covered in the book. This is a fascinating book that takes us on a wild ride through a truly unusual life. It is great fun to read. Mervyn Collins writes in an easy style and with humour. 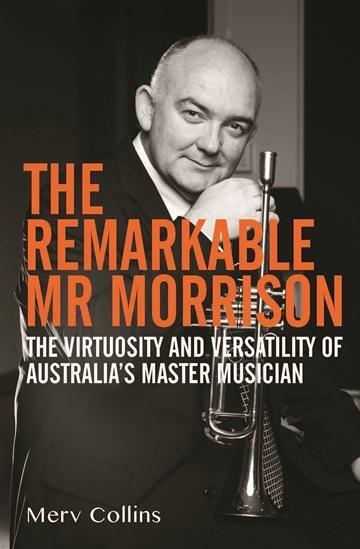 Knowledge gained from his years as a trumpeter, band conductor and educator provides the ideal background to write about James Morrison. In addition, he has done much research, as evidenced by the substantial bibliography. He points out that it is not sensible or feasible to give lists of the multitudes of events where Morrison has appeared and he deftly weaves information amongst anecdotes and commentary. It is more or less a chronological account, but not until page 60 does he divulge Morrison’s birth date. When Collins describes his subject as ‘remarkable’, he was not exaggerating – he was merely making an observation. Yet this is not a hagiography. We are told that Morrison was not always popular with the inner circle who regarded him as a less than serious jazzman, more a performer of ‘circus tricks’. Frequently he was more admired overseas than he was at home – the tall poppy syndrome again? 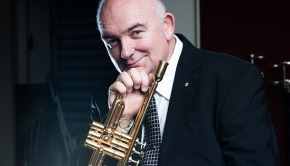 However, he has received many accolades and awards, including being made a Member of the Order of Australia in 1997, and in 2013 he was inducted into the Graeme Bell Hall of Fame which could be regarded as final recognition by the jazz establishment. He is still relatively young to have achieved so much, and there is more to come. Readers will surely be inspired to seek out the real Morrison in performance, if they have not already done so.